Product code: 100350 Category: Fully Composite. 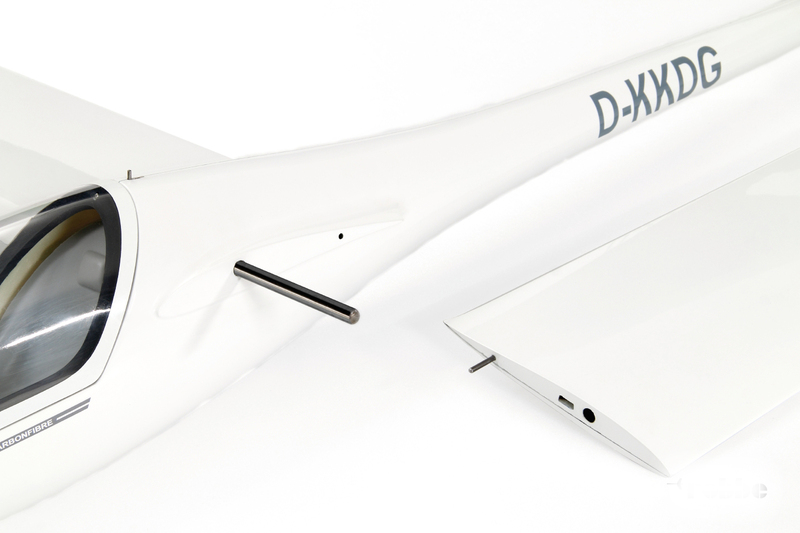 The DG-600 is a high performance standard class sailplane. It is designed structural to withstand the stress of aerobatics maneuvers. It has an advantage at air shows since the appearance of a standard class sailplane is more aesthetic than a glider with short wing span designed for aerobatics competitions only. 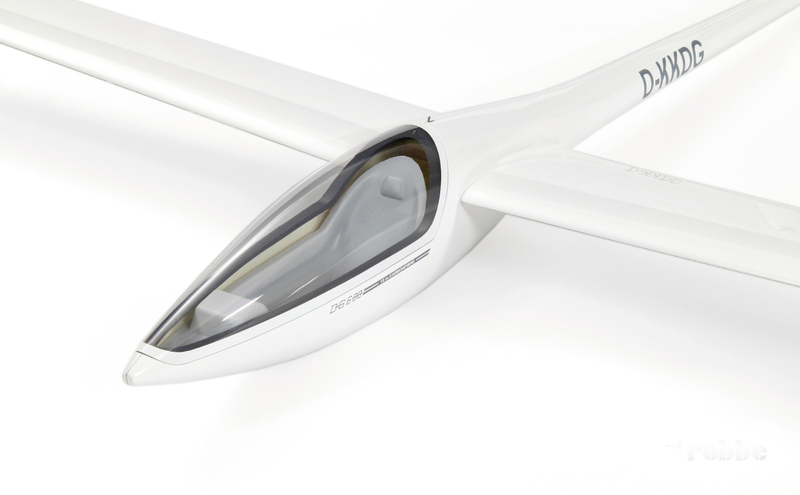 This machine is also extremely popular amongst glider pilots, and was produced in several versions. The wingspan of the 17 m version of the DG 600 can be increased, and winglets can be fitted. 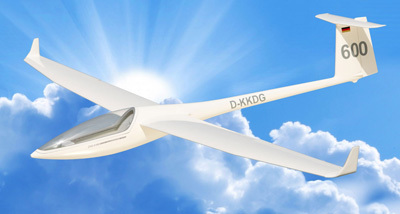 The DG 600 with winglets is also flown in the 18-metre contest class. 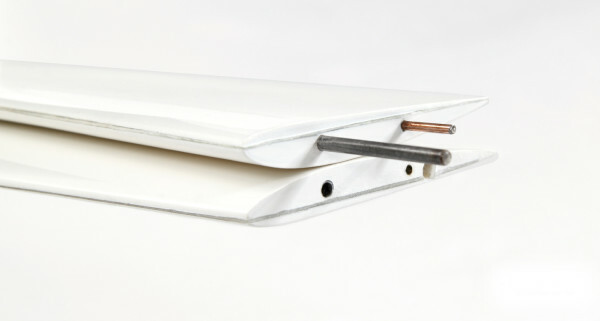 The model is supplied with the final finish already applied. 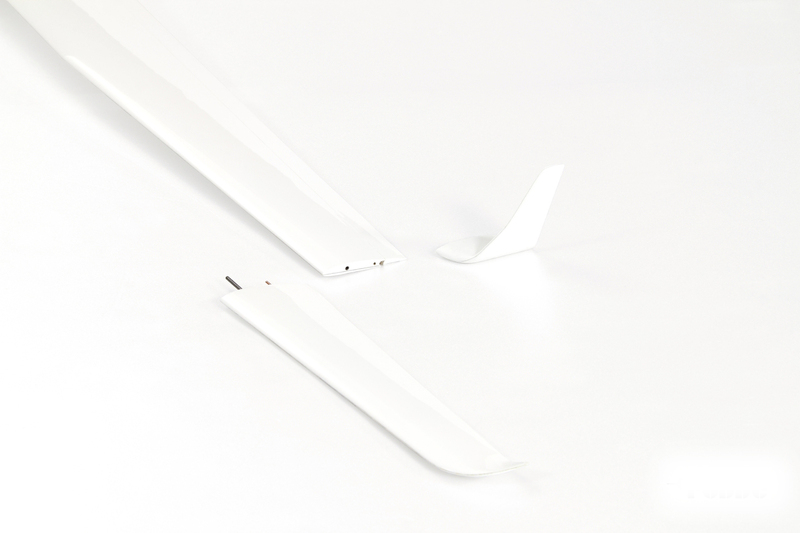 The wings are produced in a mould, and are supplied with the ailerons cut out. 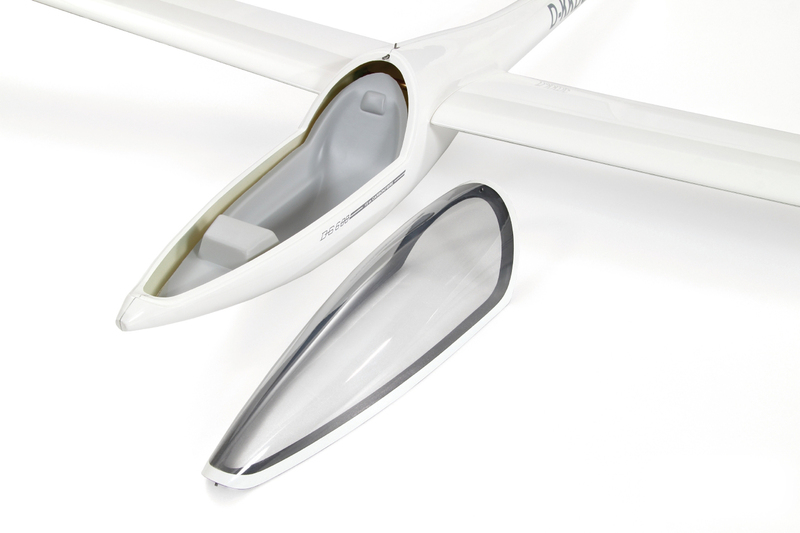 Both pairs of winglets are included in the set, and either pair can be fitted to the standard wings. The wing joiner system is already installed in the fuselage. The tailplane and rudder are also supplied as GRP mouldings. The clear canopy is supplied already bonded to the frame, trimmed to fit fuselage with white painted edge. The final work required to complete the model is essentially limited to the installation of the receiving system components. You can fly this kit with both wingspan (2.6 m and 3.2 m). The kit includes the winglets for the standard class version and the extension tips for the open class high aspect ratio wings. 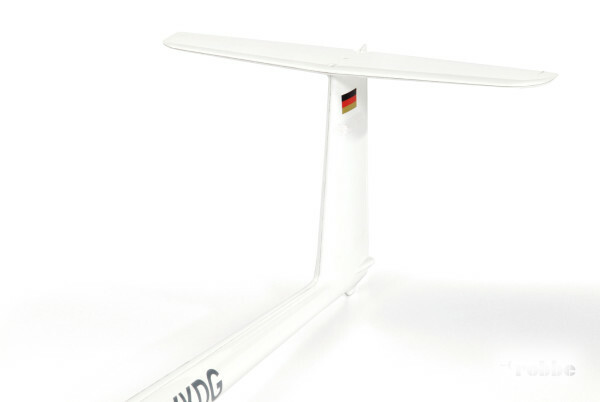 This mid sized model is an interesting subject to introduce you to scale gliders. It comes out pretty light, which leads to very safe handling. The S3021 gives him very forgiving flying characteristics. It can be ballasted and it becomes a rocker on the slope. Also easy to hi-start, it likes it behind a tow plane for thermal duration flying. It is easy to do tight circles without tip stalling out. 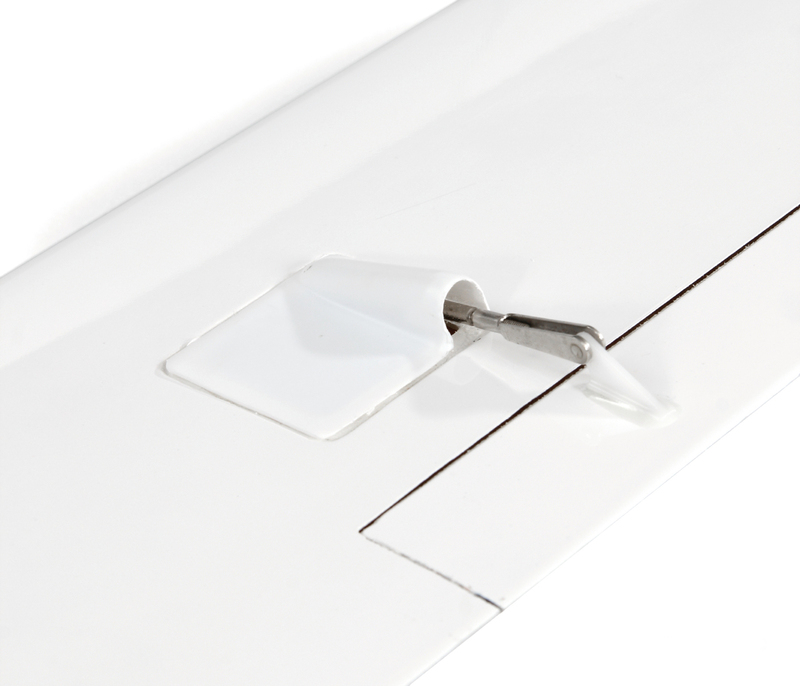 On the slope, after removing the winglets, it will allow you to perform most known aerobatics manoeuvres.